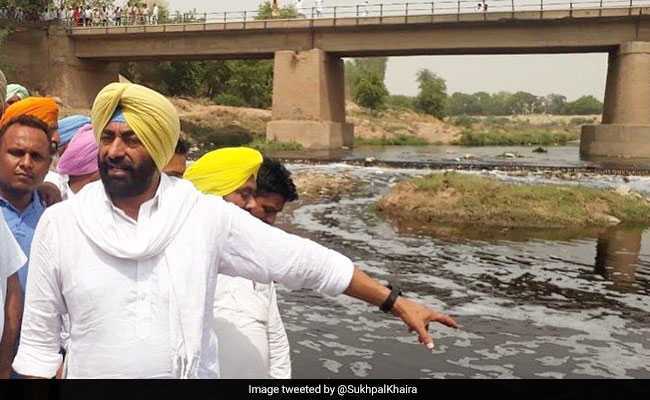 On Sunday, Sukhpal Khaira had quit the AAP, six months after he was ousted from the post of the leader of Opposition in the Assembly. "The ''Punjabi Ekta Party'' will be Punjab-centric and a regional party," Mr Khaira said. Six rebel AAP legislators -- Kanwar Singh Sandhu, Jagdev Singh Kamalu, Jagtar Singh Hissowal, Pirmal Singh Khalsa, Master Baldev Singh and Nazar Singh Manshahia -- were present at the occasion. On Sunday, Mr Khaira had quit the AAP, six months after he was ousted from the post of the leader of Opposition in the Assembly. Mr Khaira, who has not resigned as an MLA, had earlier attacked party supremo Arvind Kejriwal, alleging that his "dictatorial" attitude had shattered the dreams of Indians and the Punjabis for a clean alternative to the decayed and rotten system. The 53-year-old, a former Congressman who had joined the AAP in December 2015, had sent his resignation to Mr Kejriwal. In his letter, Mr Khaira had alleged that the party had totally deviated from the ideology and principles on which it was formed post the Anna Hazare anti-corruption movement. Mr Khaira and another rebel MLA, Kanwar Sandhu, was suspended from the party last November for allegedly indulging in anti-party activities. He had been vocal against the party leadership ever since he was removed as the leader of Opposition last July, following which he was leading a group of seven rebels loyal to him. One of the rebel MLAs, Jai Kishan Rori, had returned to the party fold last month.